Read our research and analysis on the impact of Goods and Services tax on the Indian healthcare and pharma sector. India is the largest producer for generics and the country’s Pharmaceutical Industry is currently the 3rd largest in the world in terms of volume and ranks 14th in terms of value. As the population continues to grow, the need for better Healthcare Services is also growing. Currently, 5 percent of the country’s GDP is expended on the Healthcare sector. The healthcare sector is expected to touch $150 bn by end of 2017, from $80 bn in the year 2012. The country’s healthcare industry has been growing exponentially in last few years, and the Health Ministry targets for the development of new technologies to end the year for treating diseases, such as tuberculosis and cancer. For attracting more FDI (Foreign Direct Investment), the Government has also raised the cap. The passing of the GST (Goods and Services Tax) Bill has grabbed the attention across all the industries in the country. It would benefit most of the sectors and make the taxation process easier as it will replace a number of different taxes and duties. The Indian Healthcare Industry is now among of the major sectors with respect to revenue and to employment. As the expenditure on the Healthcare increases, so do revenues from taxes. 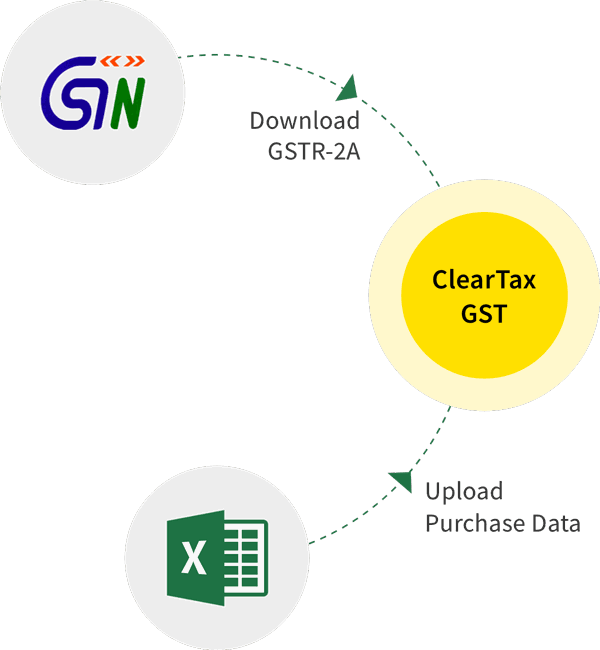 Recently, the Government of India decided for the implementation of GST, which would subsume various taxes of the complex tax system in the country into one uniform tax system. It is expected that GST would have a constructive effect on the Healthcare Industry particularly the Pharma sector. It would help the industries by streamlining the taxation structure since 8 different types of taxes are imposed on the Pharmaceutical Industry today. An amalgamation of all the taxes into one uniform tax will ease the way of doing business in the country, as well as minimising the cascading effects of manifold taxes that is applied to one product. Moreover, GST would also improve the operational efficiency by rationalising the supply chain that could alone add 2 percent to the country’s Pharmaceutical industry. GST would help the Pharmaceutical companies in rationalising their supply chain; the companies would need to review their strategy and distribution networks. Furthermore, GST implementation would also enable a flow of seamless tax credit, improvement the overall compliance create an equal level playing field for the Pharmaceutical companies in the country. The biggest advantage for the companies would be the reduction in the overall transaction costs with the withdrawal of CST (Central Sales Tax). GST is also expected to lower the manufacturing cost. One more benefit likely to accrue due to GST is the reduction in the overall cost of technology. Currently, the technical machinery and equipment which are imported into the country by the healthcare sector are very costly. Also, the duty which is levied is not allowed as a tax credit under the present tax regulations. However, with GST this scenario might change. Under GST, duty charged on the import of such equipment and machinery would be allowed as a credit. What do the Leaders Think? “As far as the healthcare and particularly the pharma industry, we expect that the GST legislation will benefit the customers by making health care affordable,” said Ramesh Swaminathan, chief financial officer and the executive director of Lupin Ltd.
Swaminathan also said that his company is waiting for the details like tax rates and the legislative framework for the implementation which is required to be decided by the GST Council. There is an uncertainty if the life-saving drugs, Healthcare services, and medical devices would continue to be tax-free once GST comes into force. Till now, life-saving drugs are exempted from the Excise and Customs Duties. Some of the States charge 5 percent taxes on the medicines; it might change once GST comes to play. The Government must continue the duty and tax incentives which are in place already. As the Goods and Services Tax is applicable on all the stages of the supply chain, it is still unclear how this would influence the bonus schemes, free drug samples and the inter-state movement of the expired products or the stock transfers. One of the prime concerns for the healthcare sector is the inverted duty structure that adversely impacts the domestic manufacturers. The cost of inputs is much higher than output, i.e., the raw materials are more costly in terms of duty than the finished product itself hence depressing investments from the manufacturers. For addressing this issue, the GST structure proposes either to dispose of the inverted duty structure or bring in a refund of the accrued credit. If this is implemented, it would prove to be the biggest advantage for the healthcare sector and would act as a booster for the growth of healthcare industry. What could be the Impact on Medical Tourism? Speaking about Medical Tourism, India has a definite competitive advantage over the First world countries. Several studies have proved that the cost of health care package including accommodation and travel to India is about 30-40 percent of the similar medical treatment and procedures in First World countries. India brags of having one of the largest healthcare workforces with 50,000 or more doctors and nurses produced every year. As of today, there is a boom in the country’s medical tourism that generates extra returns for Healthcare Industry. The revenue from medical tourism in the country has grown from $334 million in 2004 to $2 billion this year. With the implementation of GST, Medical Tourism is also projected to grow manifold. Also, the formation of National Medical Tourism Board has initiated their policies for solving the issues which are faced by the medical travellers. The Board under the Ministry of Tourism would go a long way to solve the challenges in coordination across different ministries. With the roll out of GST, the cost of insurance, pharmaceuticals, and international travel together with quality health care is expected to reduce which would culminate into better prospects of medical tourism in the country. Valsa Nair Singh, IAS, Principal Secretary, Tourism & Culture with the government of Maharashtra, speaking about challenges such as demonetization and GST, claimed that medical tourism is growing in spite of demonetization, and e-visa on arrival has also helped in achieving the same. The medical tourism industry has been assisted by the improved connectivity. “We are trying continuously for replicating wellness, yoga and organic living,” she shares. India is home to several alternative medicine practices such as Yoga, Ayurveda, Unani, Sidha, Homeopathy and Acupuncture which are popular among the foreigners. Such alternative medicine practices give India an important edge over most of its competitors such as Thailand, Malaysia, Singapore, UAE and South Korea. It is expected that GST would have a positive effect on these alternative medicine sector and will significantly contribute towards the growth of medical tourism in the country. In general, the impact of GST on the Healthcare segment is still indeterminate. However, the Industry specialists have confidence that post implementation of GST customers and industry players will be in a win-win situation. The Healthcare Industry would profit from the GST implementation as it would diminish the complexities and various obstacles to the growth of business. Healthcare sector including the medical tourism is on the way of expanded profitability and promising development.